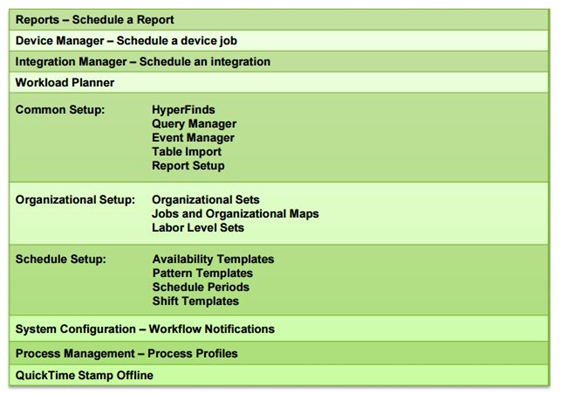 With the release of Kronos Workforce Central Version 8.0.11, Kronos is now officially completely Java-free. The release of WFC Version 8.0 brought with it over 500 new features, a new and improved platform, and an optimized user experience. The new user platform, along with intuitive and accessible reporting and analytics, reflects that message clearly by removing multiple previous limitations. Kronos WFC Version 8.0: Is it really Java Free? The release of WFC Version 8.0 brought with it over 500 new features, a new and improved platform, and an optimized user experience. Kronos introduced Version 8.0 with a webinar titled, “Managing without Limits.” The new user platform, along with intuitive and accessible reporting and analytics, reflects that message clearly by removing multiple previous limitations. However, there is still one limitation that all Kronos users deal with: Java. 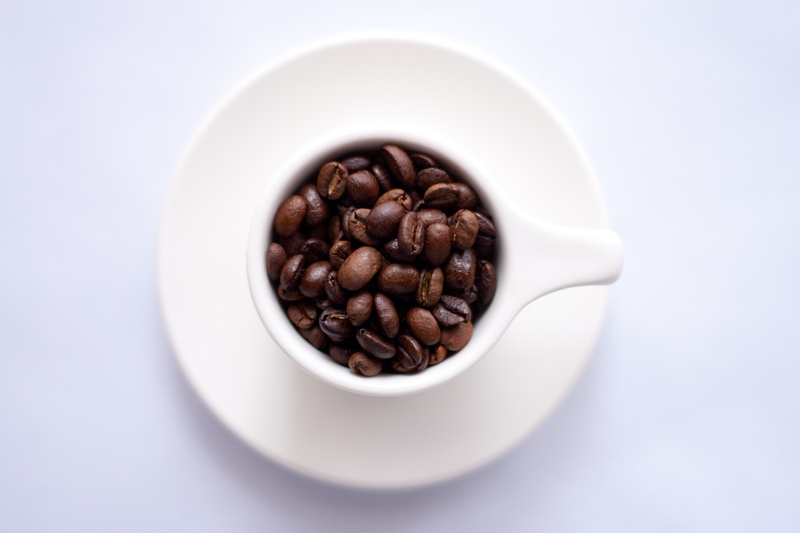 Kronos and the Mandatory Java Update: Does it Affect You? Java 7 update 51 (January, 2014) will include two security changes that will affect many Kronos® customers. Will it affect you and how? Must you perform this mandatory update? Oracle released Security Alert CVE-2012-0422 to address two vulnerabilities affecting Java in web browsers. 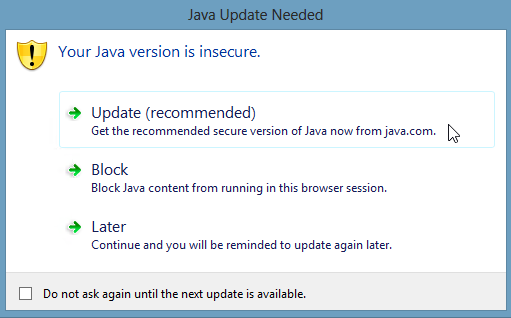 The security vulnerabilities only affect Oracle Java 7 versions. Oracle is recommending that the updates in this Security Alert be applied as soon as possible. This to avoid the possibility of unknown attackers entry into your computer systems through malicious browser applets. In response to this upcoming update, Kronos issued a technical advisory titled: "Workforce Central and JRE 1.7 – Mandatory Action Required." What does this mean for Kronos users and your Java Runtime Environment?